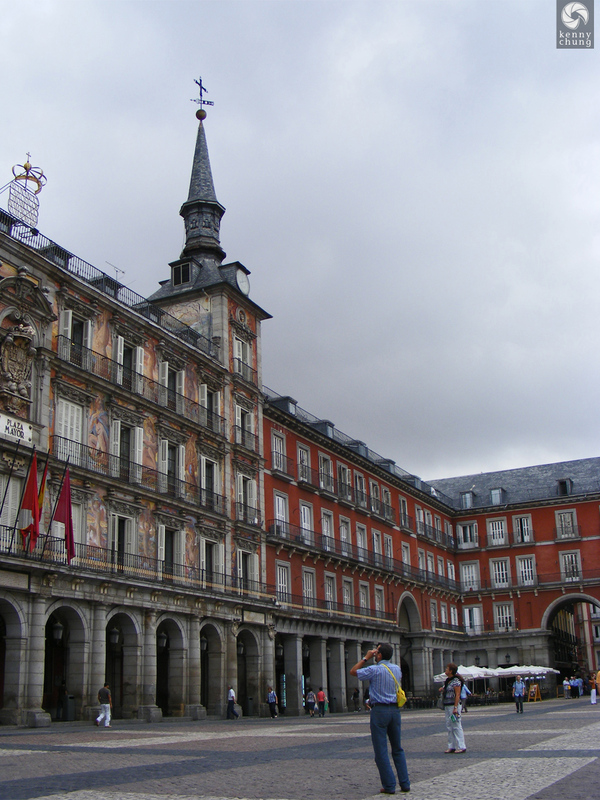 Plaza Mayor is one of Madrid's many historic sites. 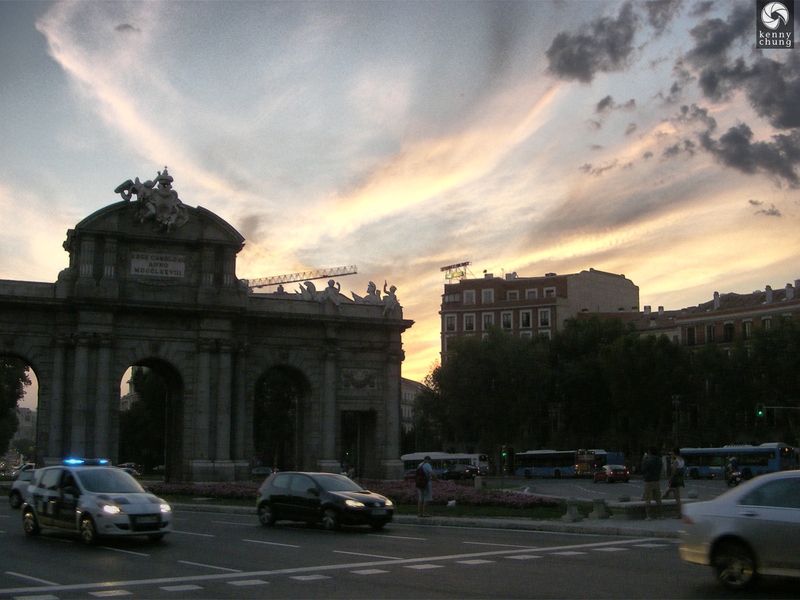 It is the central plaza that is now home to restaurants, street performers and public celebrations (such as the World Cup victory). 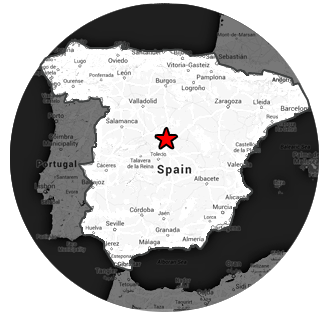 There were many other tourists stopping by to admire the architecture of Plaza Mayor. 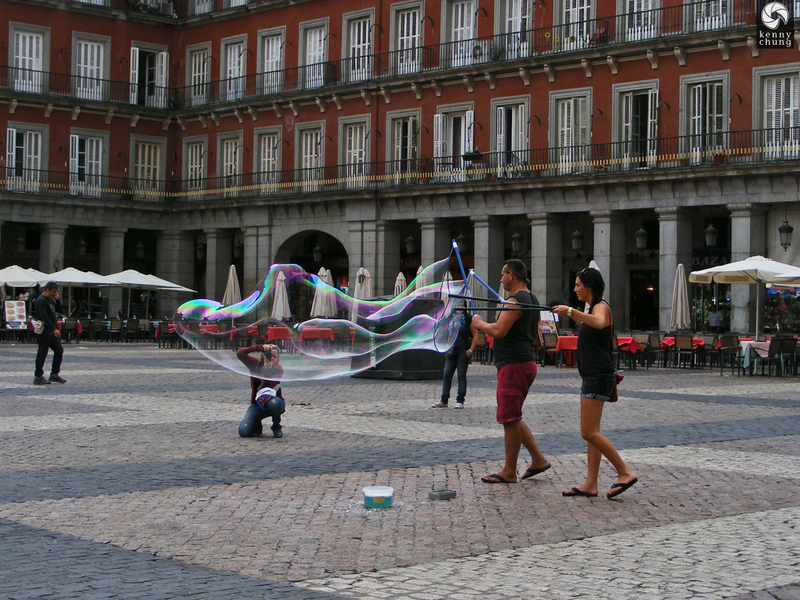 There were many street performers, including this man who was teaching a tourist how to blow giant bubbles. 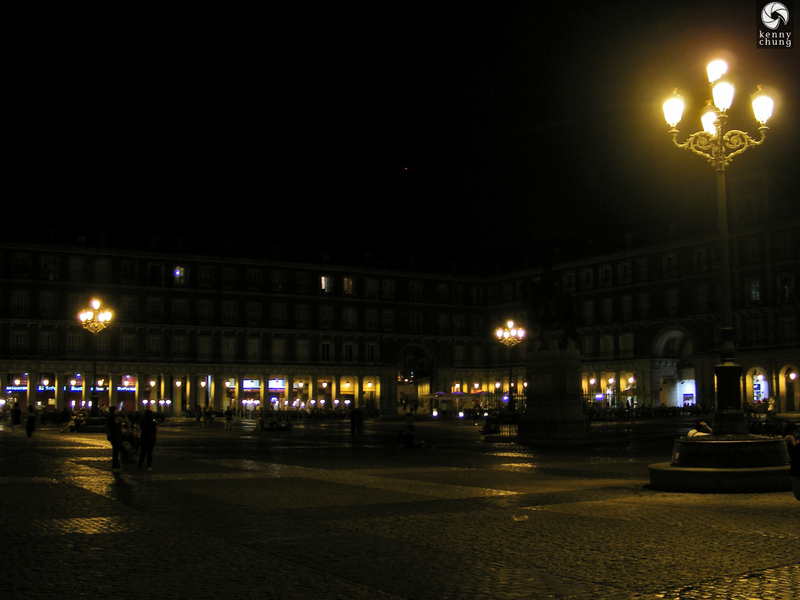 There were still many people gathered in Plaza Mayor deep into the night. 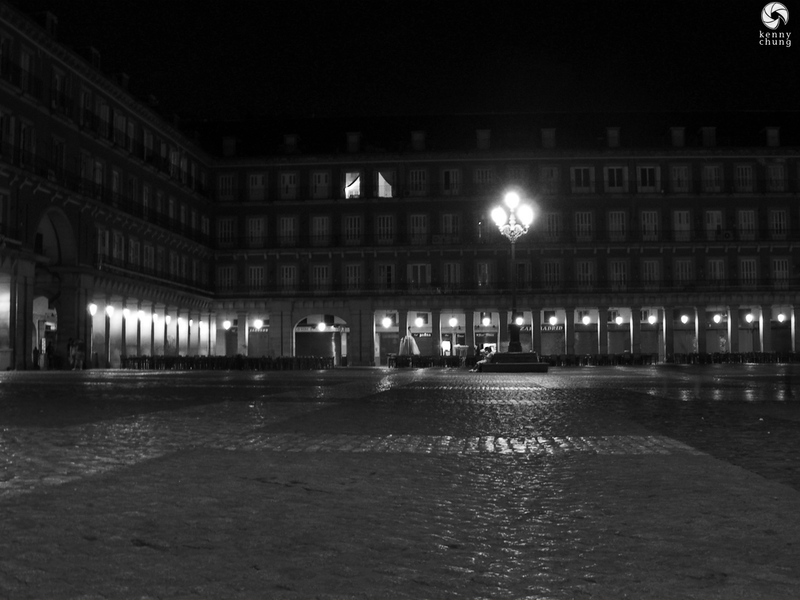 Plaza Mayor late at night.